Microsoft today introduces a couple of low-end Windows 10 devices from some of its partners. One of the new Windows 10 devices Microsoft showed off today was the new Turn T201 from a company called JP.IK. 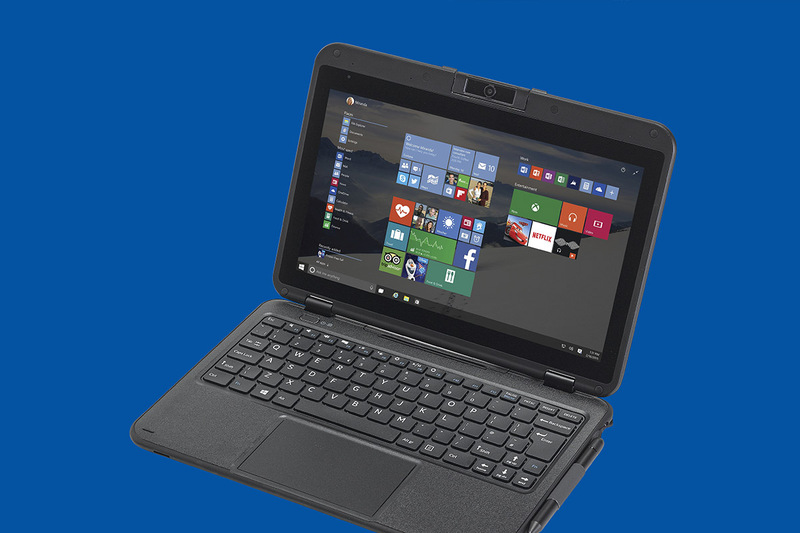 The device is a simple Windows 10 convertible device built for education purposes. Microsoft says the device is targeted towards customers from emerging markets, so it will likely have a very low price. The Turn T201 comes with ikES, which will give teachers and students access to a range of different educational experiences. The device also packs a neat little webcam called the Microlens which can be used as a microscope for science-related tasks using the 30x magnifications lens and it also has a Thermal Probe that can be used to detect and monitor the temperature. As for the specs, you will get an Intel Atom™ x5–Z8350 processor on the device, up to 4GB of RAM (2GB RAM variant also available), up to 128GB of eMMC storage, up to 256GB of SSD storage, a 11.6-inch IPS display, one USB 2.0 port, and one USB Type-C port. The device also comes with an Active Stylus Pen which can be used with the touch keyboard and it also has a 2MP front camera. JP.IK stated in an announcement that the device can be dropped at up to a 70cm distance, and both the keyboard and touchpad are resistant to liquid spills up to 100ccc. Pricing and availability details regarding the Turn T201 is yet to be announced.